Stress is an unavoidable aspect of modern life. But while we cannot escape life’s pressures, we can change our reaction to them. 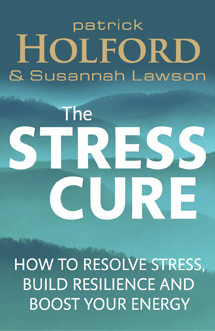 If you are stuck in a vicious cycle of stress and fatigue, The Stress Cure will explain how to ‘reset’ your mind and body to achieve a calmer, more resilient and balanced approach to life. Along with quick fixes to feel better now, practical techniques to de-stress and delicious recipes, The Stress Cure includes a 30-day action plan to help you thrive, rather than simply survive, in today’s fast and ever-changing world. Published by Piatkus on 5 March 2015. 336 pages. RRP £14.99. I’ve recorded some of the exercises I feature in The Stress Cure for you to download and listen to when you need ideas or help to relax. 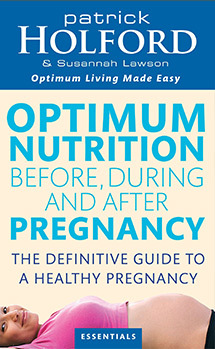 Drawing on the latest research, this book shows you how good nutrition can optimise your ability to get pregnant, enjoy a healthy pregnancy and give your baby the best start in life. It also guides you through carefully-devised food and supplement plans – from pregnancy and breast-feeding for you, to weaning and then establishing healthy eating habits for your baby as they grow. Published by Piatkus. 225 pages. RRP £10.99. Click here to order direct from Amazon or contact Susannah for a discount first edition (£8). 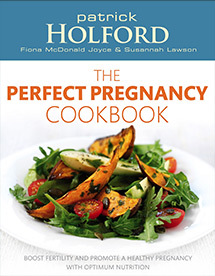 A comprehensive companion to pregnancy, providing advice on an optimal nutrient-rich diet with lots of great ideas for how to put this into practice. Part one provides sound guidance on the right pre-conception diet, what to eat and which supplements to take, plus tips on how to overcome problems conceiving and common pregnancy problems. Then part two features more than 80 easy-to-prepare, delicious recipes that include everything from breakfasts and snacks to easy mid-week meals and healthy desserts. And of course, all of them are safe to eat and will positively nourish you and your growing baby during one of the most important times of your life. Do you have abundant energy, clear skin, a sharp mind and a happy, motivated outlook? Are you at your ideal weight and rarely ill? This is what 100% health feels like and it’s something you can achieve by following the optimum nutrition approach to health. 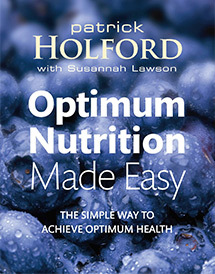 Optimum Nutrition Makes Easy cuts to the chase and helps you discover the truth about what to eat and how to feel great. It also includes a series of questionnaires that allow you to develop a nutrition programme that is right for you.